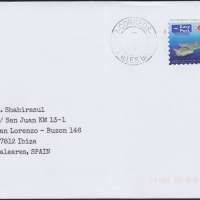 A philatelic cover was made and a private postal sticker of Easy Post (private postal service) BUT was posted into Correos mail pillar. 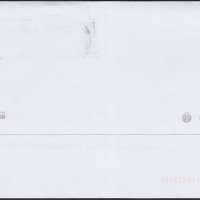 Despite Correos claim that they will not process letters with Easy Post labels, this cover was however delivered despite taken 9 months away. Delivered on 14 May 2014. It makes me wonder, where has it been hanging for the past 9 months.